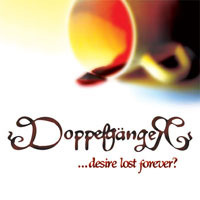 Re-release of the third DoppelgängeR's album. Originally the album was released in 2003 on the label «Misteria Zvuka» and was a great success. Music is a classic rough gothic rock in the best traditions of Sisters of Mercy. The album's quite diverse material - there are energetic hits such as «Kiss To My Last Breath», «My Invisible Touch of Your Heart», «The Sins Of October» and midtempo, very stylish «The Cold», «Untitled Dream» and semi-ballad «Winter's Misery». Grease guitar riffs, precise rhythm section and background keys.